Just a few minutes’ drive from the Homestead, Marsden Estate offers wine sales, tastings and tours, with innovative cuisine to complement its award winning wines. It’s known for the relaxed atmosphere of its courtyard dining space overlooking the lake and vines, with innovative cuisine that showcases the unique flavours of the region. Located on Wiroa Road, only 7 mins drive from motel. Cottle Hill Winery is a small family-owned winery founded in 1996 by Michael and Barbara Webb who sailed from San Diego, California aboard their 35ft Island Packet yacht Sprig. Cottle Hill is a casual and relaxed winery experience. You can sample the award-winning wines and enjoy the stunning view from the highest peak in the Kerikeri area. We invite you to come and experience Cottle Hill Winery where our philosophy is: Wine is for everyday and everyone. Enjoy life, enjoy wine! Located at the corner of SH10 and Cottle Hill Road, only 7 mins drive from motel. AkeAke is a small boutique vineyard and winery producing quality hand made wine. The Vineyard restaurant is renowned for serving fresh seasonal produce to compliment their wines. Set amongst the vines, the restaurant is an ideal place for lunch dinner and functions. Ake Ake Vineyard is owned and run by John Clarke and Aynsley Quenault. They grow and make wine from grapes which are best suited to the vineyards terroir including our highly regarded award winning Chambourcin, Pinot Gris, Syrah, Chardonnay, Tempranillo and Sauviginon Blanc. Located on Waimate North Road, 13 mins drive from motel. Compact, quirky and user friendly is the best way to describe this Vineyard. We are a small vineyard established in 2003.All grapes are grown on site with the exception of our Pinot-gris which comes from our family block in Takou Bay just 10 minutes up the road. Located at 177 Puketotara Road, 15 minutes drive from motel. Kerikeri has an abundance of fine restaurants all within one kilometre of the motel. Cafe Cinema is an established restaurant, wine bar & cafe situated in Kerikeri town center right next to, yes you guessed it – the cinema. It’s cosy and it’s where the locals hang out. Specialising in honest food prepared with fresh local ingredients (with a Swedish influence) and designed to tempt the taste buds. Enjoy great ambience with guaranteed smiles and friendly, relaxed service. Whether you’re after a superb brunch, wine and nibbles, cafe lunch, relaxed evening dining, or just an excellent coffee, Cafe Cinema is be the place to be. Relax on the deck and enjoy the sunset at the end of the day while enjoying a superb glass of Northland wine. Whilst the bar dining area is suitable for large groups, there is also the outdoor garden area and children’s playground. The Black Olive is the perfect casual place to have a wonderful evening. 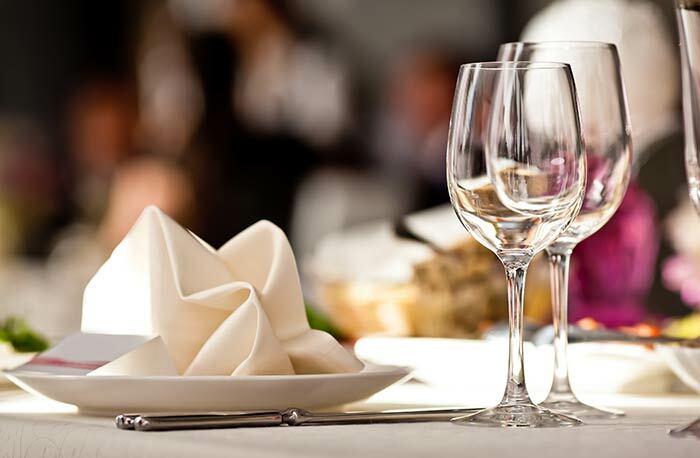 With a mouth watering selection of gourmet and traditional pizzas, seafood dishes or a juicy scotch fillet – you’ll find a delightful blend of great food, wine and service. Nestled beside the Kerikeri River in the romantic Stone Store Basin, the Pear Tree Restaurant & Bar, is an historic Bay Of Islands landmark.The Pear Tree offers everything from a delicious brunch, coffee, casual drink and snack through to an inventive but unpretentious a la carte menu. Relax in the garden while the kids play in the park-like surroundings, unwind on the deck overlooking the water or get cosy in front of the open fire on those cooler days. This cafe & restaurant is set amongst a lush subtropical garden and serves European and Thai inspired food. A family owned and operated business, their passion is delicious, fresh, healthy food coupled with excellent service. This year Food at Wharepuke was proud to receive the prestigious award for the Michael Guys Cafe Magazine The Best Cafe in Northland. Prepare to be wowed! Genuine Indian cuisine and a family friendly atmosphere, this is a truly authentic Thai and Indian experience, from Indian Curry to Thai stir-fried. There is something for everyone and you need not worry about the hotness, they have a range of spices to suit everyone; from no heat at all to real Indian Hot!! A very busy eatery, and for good reason. Wonderful food. Very authentic and full of flavour. Cesare Stella, Italian chef, co-owner and operator offers an extensive menu covering meat, seafood, home made pasta, pizza plus daily specials. This is outstanding and authentic North Italian cuisine. If you want to experience a little piece of Italy right here in Kerikeri, this is your chance. Don’t be in a hurry though – this is real Italian dining. Rock Salt Bar and Restaurant is in a relaxed and stylish location in central Kerikeri has the comfortable surroundings ideal for meeting friend or dining out. Rock Salt provides great food and drink in a comfortable space allowing you to relax and enjoy a business lunch, after work drink or dinner and evening unwind with friends. During the day the airy relaxed environment is perfect for lunch in the town centre. The kitchen is open all day and serves a wide selection of homemade hot and cold food all prepared with, where possible, local ingredients. Keirkeri has a café culture and most café’s can be found within walking distance of the motel. The Kerikeri Bakehouse has been in business since 1995. With two sites operating in Kerikeri, all your bases are covered. From supplying a full range of bakery goods, to a full sit down style of breakfast and lunch menu, the great coffee just tops it off really. The Fishbone has a great site in the centre of Kerikeri with seating both inside and out. The service is always friendly and prompt, even when busy. The coffee is excellent and always consistently so. The food is varied and always good for a light breakfast, lunch or morning muffin. This family friendly Cafe offers breakfast & lunch with fantastic Chef’s specialties. Zest has great organic coffee, delicious food in a friendly inviting atmosphere in the heart of Kerikeri. Santeez is a unique cafe, offering an extensive breakfast, lunch and beverage menu and specialising in gluten and wheat free foods, so if you have a food allergy or belong to the coeliac society, then this is where you should be dining. Food here is always so fresh and the coffee is also excellent. The service is great, lots of smiles and very friendly. Best thing of all is they offer free wifi so you can be connected while enjoying a spot of lunch. Cafe Cinema is a cozy cafe where the locals hang out. Enjoy great ambience with guaranteed smiles and friendly, relaxed service. Whether you’re after a superb brunch, wine and nibbles, cafe lunch, relaxed evening dining, or just an excellent coffee, Cafe Cinema is the place to be.